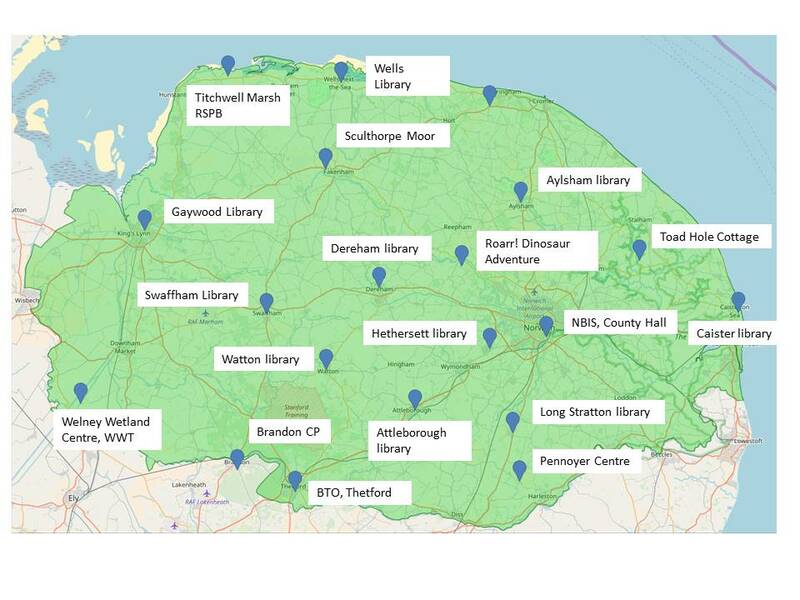 With a number of centres for bat monitoring widely distributed across Norfolk, a detector should be available to anyone wanting to take part in the project, within 15-20 miles of a detector. 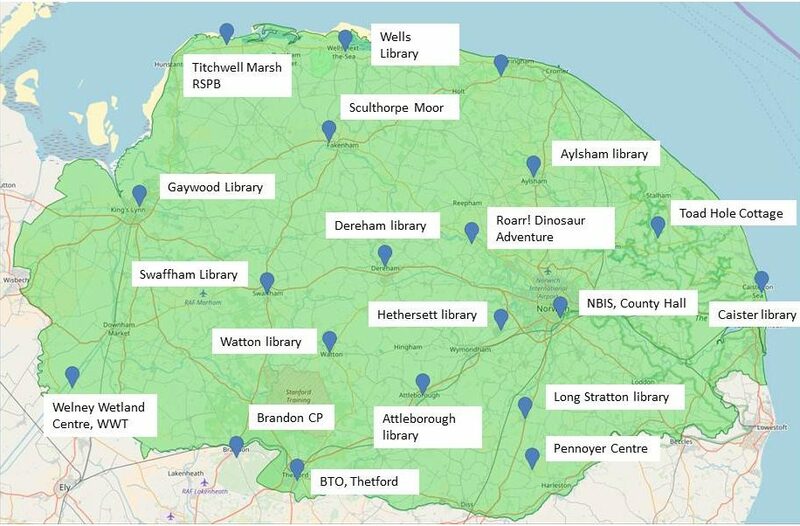 After you have requested a square to survey (see sign up map), you will automatically be emailed a link to a web site, where you can book and borrow a detector to use for the survey from a Bat Monitoring Centre of your choice (see reserving a detector for more information on this process). This system will give you more information on the best point of contact, opening hours and whether you need to contact the centre in advance. Please note that this survey requires three different points (ideally at least 200-meters apart) to be surveyed within a 1-km square. Ideally recordings are made on three consecutive nights.